Sleep is vital if you are going to be able to tackle the daily chores of work, recreation, and family life, San Diego residents. That’s why, when you choose from the mattresses that are on the market, you need to narrow it down to those that you think are best for your body size and the position in which you enjoy sleeping. You should also take into account any medical conditions that will lead to your getting a better night of sleep on one style of mattress versus another. Because of all that, you should read up on innerspring mattresses, foam varieties, and hybrids. Each one has its perks, but today we’re going to be looking at some of the memory foam mattresses that have become very popular lately. When we’re finished, hopefully you should be able to decide whether memory foam is the right choice for you. Memory foam is also known as viscoelastic poly foam. It is a material that softens if it comes into contact with body heat. It then retains its original shape once it has cooled down. For a mattress to be called memory foam, it has to be made with a layer of memory foam in the comfort system, though some varieties have more than one such layer. The support core of these mattresses is usually made of high-density poly foam. What makes these sorts of mattresses appealing to so many different San Diego residents is that they conform closer to the body than most other mattress types. This means better spinal alignment and pressure relief. If you suffer from chronic back pain, neck pain, or shoulder pain, getting a memory foam mattress can be no less than miraculous for you. Many individuals were bothered by these ailments for years but felt better after just a few nights of sleeping on a memory foam mattress. Which Memory Foam Mattresses are the Best? The competition among memory foam mattresses is stiff in San Diego, as you might expect. There are cheaper versions that nearly anyone can afford, and then there are high-end ones that sell for multiple thousands of dollars. Of course, the size of the mattress you are getting is also going to matter. It stands to reason that a twin is going to cost you a lot less than a California King. These are some of the better varieties that we’ve found, though, taking into account customer reviews, price, and widespread availability. The Loom and Leaf memory foam mattress family offers perhaps the best overall value when compared to some others on the market. It comes with multiple firmness options, so chances are you should be able to find one that feels right for you. You get a 120-night sleep trial with them, which is average for mattresses of this sort. The 15-year warranty is also decent, so no problems there. What we like best about Loom and Leaf, though, is the excellent noise-canceling capabilities of these mattresses. If you sleep alongside a spouse or partner and either one or the other of you tends to be restless at night, these mattresses are virtually silent, and your partner should be able to rest undisturbed even if it takes you a while to drift off. The Nectar would be our choice for the best value. Memory foam mattresses can easily get expensive if you’re paying for a name brand, but Nectar proposes to be the company where you’ll get brand recognition, quality, and a better-than-average price. The Nectar could be described as medium-firm, and it comes with a 365-night sleep trial. That is going to be challenging to beat. You have a full year to figure out whether or not this is the best choice for you. On top of that, it has a lifetime warranty, and obviously, it would be impossible for you to do any better than that. It conforms closely to your body, so San Diego residents get that support that they crave, and the motion isolation technology is good as well. It’s no wonder the Nectar has been showing up on “best mattress” lists since it debuted. If you’re looking at the memory foam mattress varieties, then this is one that should certainly be on your radar. The Puffy Lux is the most luxurious memory foam mattress that we can recommend. You’re going to pay a bit more for it, but you get four different foam layers and a thick 12’’ profile. If you have chronic pain and you need quite a bit of support, then it’s going to be hard to beat this choice. It comes with a 101-night sleep trial and a lifetime warranty, which is always appreciated. This mattress would be ideal for those who like thicker-profile beds that are heavily cushioned. Those who sleep on their backs or sides would do best on this bed. Also, it sleeps cool, so if you’re the sort of person who wakes during the night feeling overheated, then this might be the best option for you. 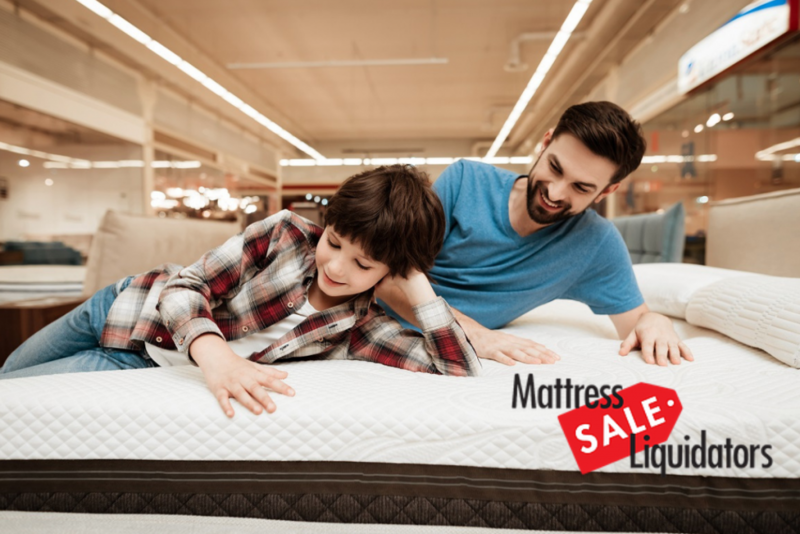 There are lots of other memory foam mattresses on the market, San Diego, and if you’ve decided that this sounds good to you, then you should do your due diligence and check them out. In addition to the ones we went over, the Layla mattress and the Bear also get honorable mentions. Whichever one you choose, though, try it out for several nights to get a sense of how it’s working for you. If you don’t like the experience, there’s nothing wrong with trying another model. You need to get this right if you’re going to improve your quality of life, so this should certainly be an area where you can be picky. Also, if you do sleep with a partner, be aware that some brands will allow you to order a customized mattress with different textures and features on either side. You don’t have to get a single mattress with uniform features. If one of you likes sleeping on medium-firm and the other wants feather-soft, it is possible to have both these days with the same mattress. ← How Do You Know Which of the Mattress Stores Should Get Your Business?